What is the best thing about summer? For some, it may be the heat of the summer sun, running around barefoot, longer days, the abundance of flowers and delicious fruit and vegetables, a great summer vacation, or all of the above! For us at Baci, it's definitely the fresh bounty of summertime like delicious Summer squash, Heirloom tomatoes, nectarines, Asian pears, and July Elberta Peaches that we have incorporated into our summer menu. It is also represents the momentous occasion of launching our brand new fancy website thanks our son Julius, and his expert team of web producers at his new tech company, Titaen IT. Please check it out at: www.bacicafeandwine.com. For our summer blog post, we highlight Saini Winery, the Spadoni family, our lovely Leanna Lindsay, and a great summer recipe. Enjoy! Leanna Lindsay deserves the title of “Superwoman” with two jobs, three kids, a huge extended family, and several hobbies that keep her very busy. Our regular customers have enjoyed Leanna’s exceptional service since the day we opened our doors. Leanna and Chef Shari became friends working together for many years at River Rock Casino. It was only natural that he would recruit Leanna when he opened his own restaurant. Although Leanna also works mornings at the Hoffman House in Geyserville, she always has a smile on her face and a positive attitude at Baci despite her long days. Her good looks, great work ethic, and happy demeanor have rubbed off on her 18 year old daughter, Nellie, who now also works at Baci as a busser and is about to start college. Perhaps with two kids in college, she will have more time now to dedicate to her many hobbies including baking, party planning, gardening, and fishing with her husband Marvin. Leanna says the best thing she likes about Baci is her co-workers because it is a very family oriented atmosphere. From her Native American heritage in the Dry Creek Pomo tribe to having seven brothers and sisters, family is what it’s all about. For Leanna, a small family gathering involves about 40 people! Our Baci family would not be complete without Leanna and we appreciate all of her hard work. When Ken and June Spadoni came to Healdsburg in 1978 to visit a friend on vacation, they never wanted to leave. They fell in love with Healdsburg’s beauty and climate, and promptly moved their family to their new found paradise. Ken decided to get his Real Estate license the following year in 1979, and has since built a very successful family business and reputation as one of the top selling Real Estate professionals in wine country. When Ken’s daughter-in-law, Arwen Spadoni, joined him in 1994 and became his partner, it was truly a family-run business. Ken refers to his wife, June, as being the mainstay behind the business and the best Social Director he could ask for. Real Estate is all about building relationships, and June and Ken have developed many dear friendships over the years that have blossomed from helping people find their dream homes. Spadoni & Co. moved to some fancy new digs about three weeks ago when he merged with Pacific Union and Christie's International Real Estate at 109 Mill Street in Healdsburg. This merge brings Ken and Arwen an international exposure and presence he did not have being a private broker. In fact, Pacific Union is so innovative and cutting-edge, they have invested a half-million dollars into creating exclusive new real estate technologies. Ken stills runs a close-knit family business, but now with the reach and tools to take his expertise to a whole new level. To find out more, please check out Ken’s website at: http://spadoni.com or call 707-433-8463. When asked why they are regulars at Baci, Ken said he and June enjoy the consistent good food, warmth, and friendly service that is conducive to bringing clients, family and friends. 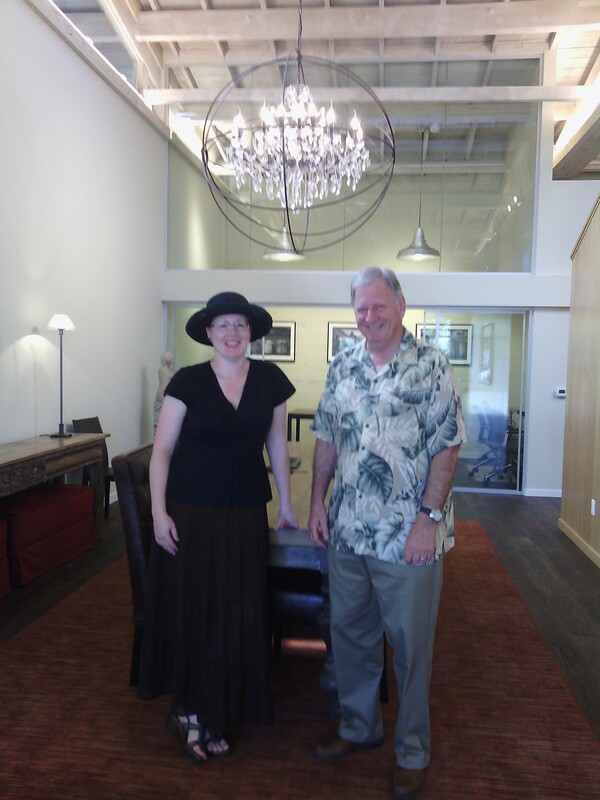 He said that Healdsburg had a void for a meeting place with quality food and atmosphere. Because Baci has evolved into a local melting pot, they enjoy exchanging pleasantries with friends and neighbors every time they come in. We had the pleasure of hosting a big private dinner for Ken when he announced the merger to a group of forty guests a few months ago. Thank you to the Spadoni family for your patronage and for being your local restaurant of choice. Saini Vineyards was born from four generations of partnership, friendship, and family. Mike and Laura Saini and John and Patti Saini are two generations of Saini Vineyards that we have had the pleasure of knowing here at Baci. Their legacy began in 1908, when Great Grandfather Micele Saini came to the United States from Genova, Italy. He bought a farm in the Dry Creek Valley in 1917. While continuing to ride a horse and buggy to work in San Francisco as a garbage man, the farm produced such crops as pears, apples, prunes, and winegrapes. Wanting to enjoy the fruits of his labor, Micele became very skillful making wine in his basement that was good enough to be sold in San Francisco. Keeping in tradition, second generation Grandfather Eugene “Si” Saini partnered with his cousin Gene Cuneo (both their fathers were also partners), and bought a second ranch in the Alexander Valley in 1934. 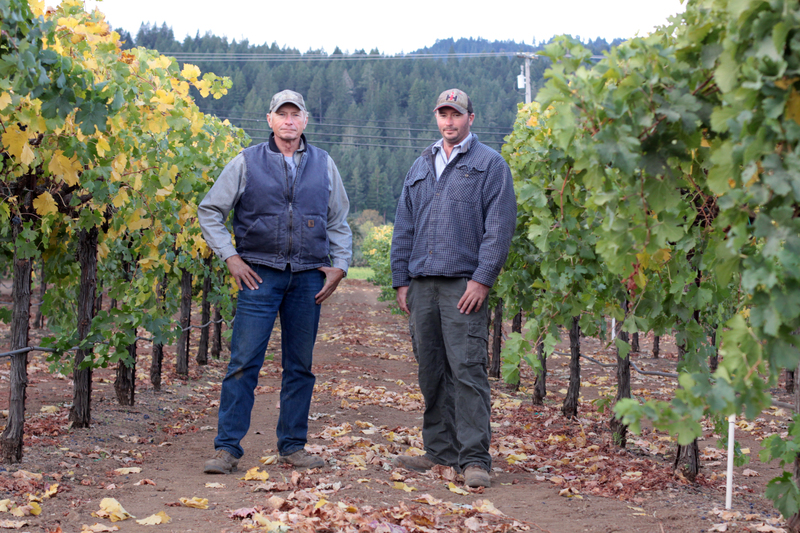 With impeccable farming skills, they built a solid reputation as impeccable grape growers, selling to some of the best wineries in Sonoma County. Si passed all of his knowledge onto his son John, who would carry the family business into the 3rd generation. Saini Farms was created in 1984 with 300 acres of vineyards coupled with decades of experience that would set them apart from the rest. It was John’s son Mike that dreamed of creating a wine brand of their own to showcase their most prized and recognized blocks which would propel them to a whole new level. In 2008, Mike recruited top winemakers and partnered with George Christie to be his Managing Partner. George had an extensive career in the wine industry and had been a close friend of Mike’s for nearly 20 years. The 4th generation of Saini Vineyards was the perfect collaboration of talent and timing with their first release of Zinfandel in 2008. 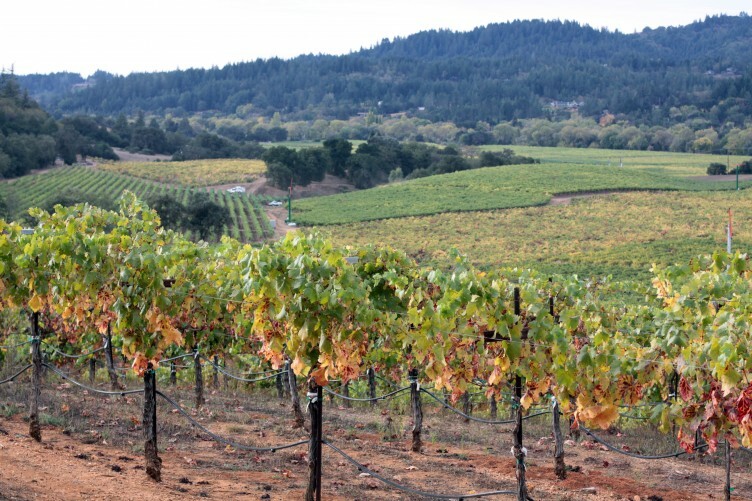 In addition to Zinfandel, they now also produce small lots of Grenache and Sauvignon Blanc. Mike didn’t realize that 2008 would symbolize more than the beginning of a new wine venture. He would also meet Laura, the love of life. 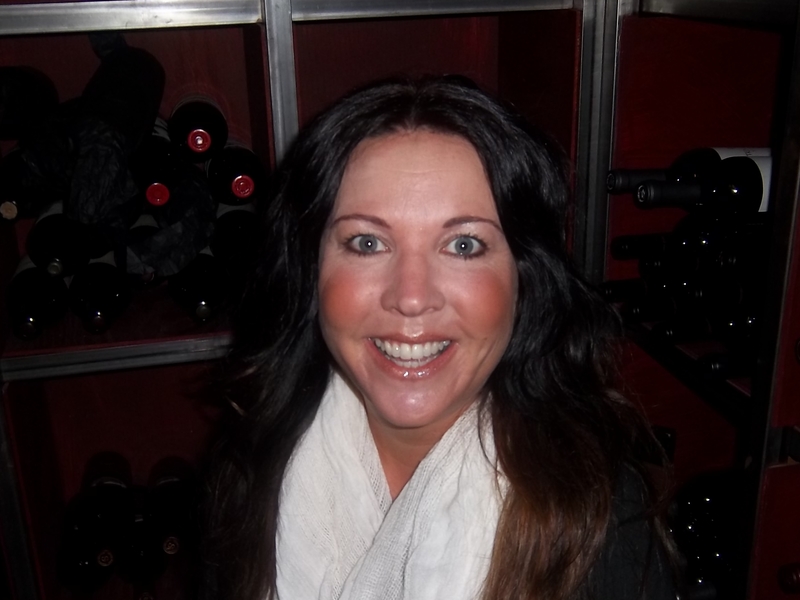 Laura quickly became part of the family business, taking on the role of Sales Manager. When Laura approached Lisbeth to put the wine on the Baci Wine List, there was no hesitation. Lisbeth didn’t even need to taste the wine. She knew their reputation and the family well, and was confident the wine would become a favorite among her customers. Baci had the honor of catering Mike and Laura’s wedding in 2012, and hosting their new son Angelo’s baptism celebration recently. Will Angelo become the 5th generation to carry on the family business? We hope so! It seems to run in the blood and why stop after 90 years? 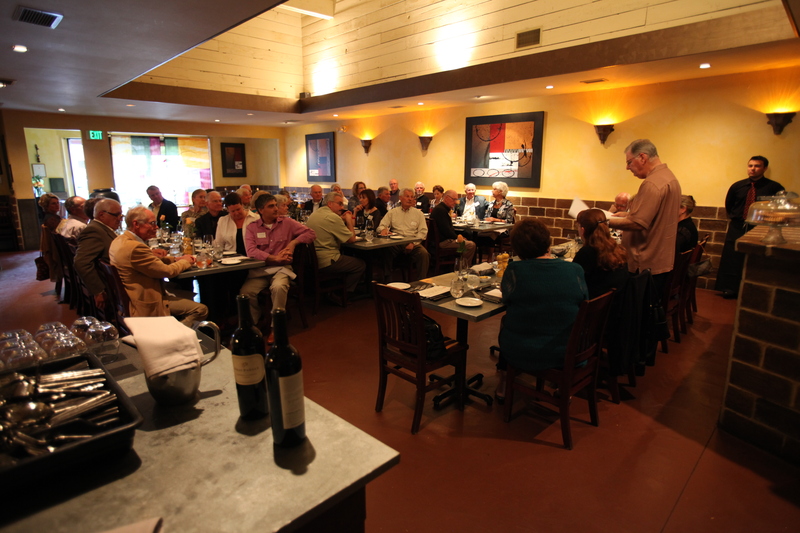 For more information about the Saini Wine Club and current releases, please go to: http://www.sainivineyards.com. Procedure: Add chicken, celery, onion, and dice apple mix in a large bowl. Drain the soaked raisins & add to salad. Save the liquid. Sprinkle with curry powder, salt and pepper & add the chutney. Toss with a large spoon. Mix the saved sparkling wine liquid with the mayonnaise and pour into the salad and mix. Refrigerator for at least 4 hours before serving. Chef’s notes: The salad looks nice if all cut and dicing are about same size and set everything in advance before mixing. For appetizers one can uses a touch of Chutney on top of the mini tart or some micro green to make it attractive. Combine all dry ingredients & mix well. Cut the butter into the dry mix with a pastry cutter, until it becomes crumbly. Mix the wet ingredients until fully incorporated, knead the dough till smooth. Shape the dough in to a cylinder about the size of a 50 cent coin and refrigerator over night. Depending on the size of your mini tart mold cut the dough same as cookies, roll with a roller; place in to the mold using your fingers. Cut the excess with a small knife place another mold on top and bake upside down in a sheet pan at 350 till cooked, but not over darkens. The tart let can be all cooked day before and kept in a nice dry storage. ReHealdsurg Hot Summer Bonus Sale! We encourage everyone to go check out ReHealdsburg for their Hot Summer Bonus Sale this weekend on August 10-11, from 10-3 at 1229 Grove St., in Healdsburg. 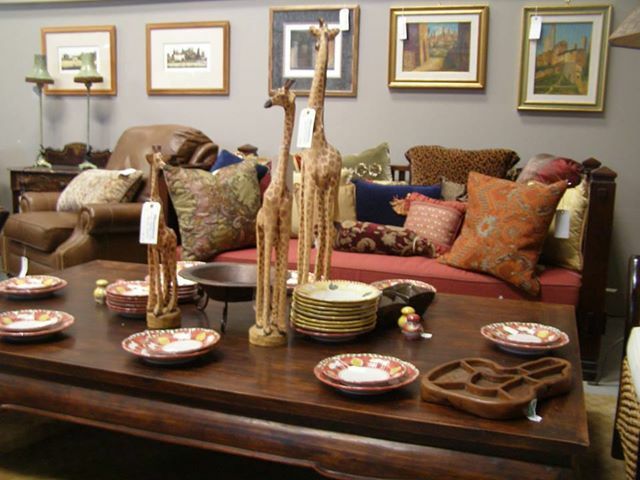 Our friends Kim Endries Tyner and Kathy Weil will be selling their existing inventory of eclectic treasures for the home and garden at greatly reduced prices with additional markdowns of 15-50% on everything in the showroom. Enjoy what's left of the summer and hope to see you soon!